TICKET machines which allow drivers to pay for car parking by cash, contactless, credit or debit card are currently being installed in Elgin. 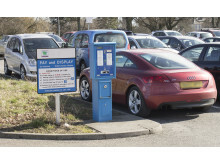 From 23 May, flexible ways to pay will make parking in Elgin simple, quick and secure. 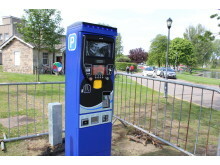 25 new machines are being installed at 5 car parks operated by Moray Council in Elgin. 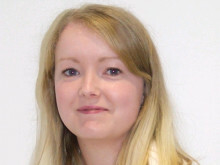 For the first time the sites include include in Cooper Park, where the first 30 minutes are free followed by a sliding scale of charges from £1.50 to £3.00. The purchase and installation is being funded through developer obligations, money which the council receives from housing developers to improve local infrastructure and services. 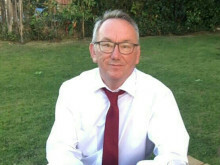 Cllr John Cowe, Chair of Moray Council’s Economic Development & Infrastructure Committee, said the machines were just one of the improvements being made to parking in Elgin. 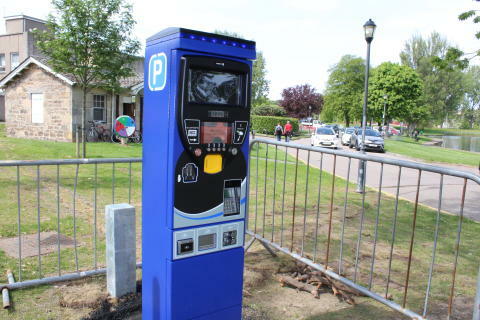 “These new machines will make life much easier for those parking in Elgin. There will be no need for drivers to carry cash or fumble with change. Those who wish to pay with coins can continue to do so, while others can benefit from secure electronic payments. 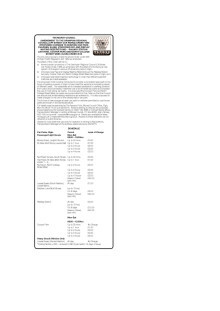 Details of the charges and car parks are in a separate document under 'related material at the bottom of this page. They will be also online and will come into operation on the 23rd.